We offer top-notch carpet cleaning services to customers throughout the Greensboro area. Carpeting is one of the most popular types of flooring used in residential properties. 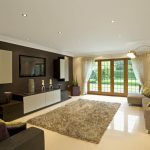 When you have carpets in your bedrooms and living spaces, it provides a softer feel beneath your bare feet and offers more cushioning than wood, tiles, or other types of hard floors. Carpeting also helps to dampen sound, so you won’t hear people walking around as much when you opt for this type of flooring. 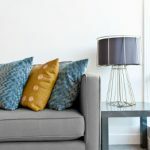 One of the drawbacks of carpeting is that the fibers can trap dirt, dust, pet hair, and other contaminants, which can cause those in your home who suffer from allergies to experience unpleasant health symptoms. Another issue is that if someone spills on the carpet, it can be hard to remove stains. However, with regular carpet cleaning services, you don’t have to worry about these problems. Carpet cleaning involves using a special cleaning solution and high-tech equipment to remove dirt, bacteria, and other debris from the fibers. After a cleaning service, you may notice that your carpets feel softer beneath your feet. Over time, as dirt builds up in the carpeting, it can feel stiff, so removing that buildup will restore your carpets to their previous softness and appearance. At Steam Source, we offer carpet cleaning services to customers throughout the Greensboro, North Carolina area. 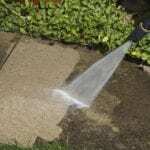 Our technicians use a 10-step cleaning process to eliminate stains and achieve the best results. We also use products that are safe for use around young children and pets, so you don’t need to worry about introducing harsh chemicals or cleaning solutions that could cause harm. Contact us today to learn more about our top-notch carpet cleaning services in Greensboro and to schedule your appointment. We look forward to serving you! 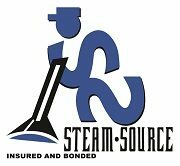 At Steam Source, we offer carpet cleaning services in Winston-Salem, Greensboro, Kernersville, Clemmons, Advance, High Point, Mocksville, Pfafftown, Jamestown, Oak Ridge, Summerfield, Lexington, King, Walkertown, Colfax, Lewisville, Welcome, Bermuda Run, Thomasville, Yadkinville, and Walnut Cove, North Carolina.